What a better way to count down to your little miracles arrival than with this adorable photo frame? You can countdown the days and weeks until your due date as you write them on the heart shaped chalk board attached to the frame. A wonderful gift for any grandparent. 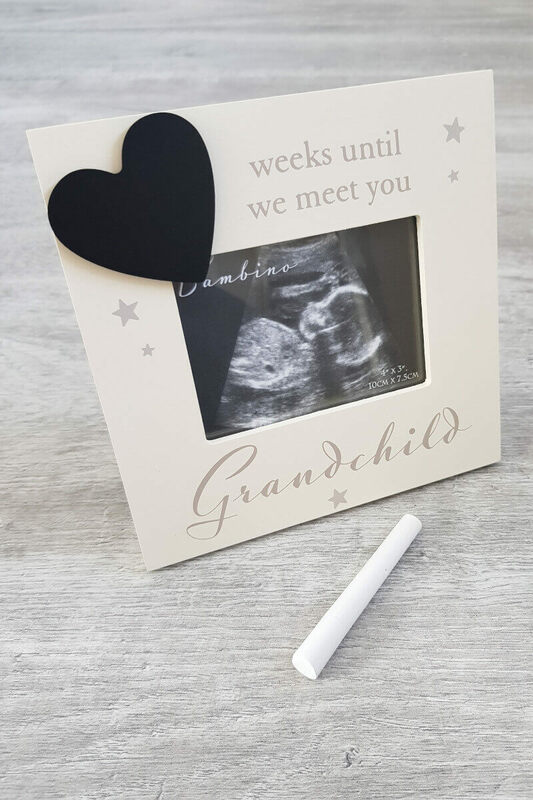 This baby scan countdown photo frame is 15cm x 15cm and comes gift boxed with the chalk included.